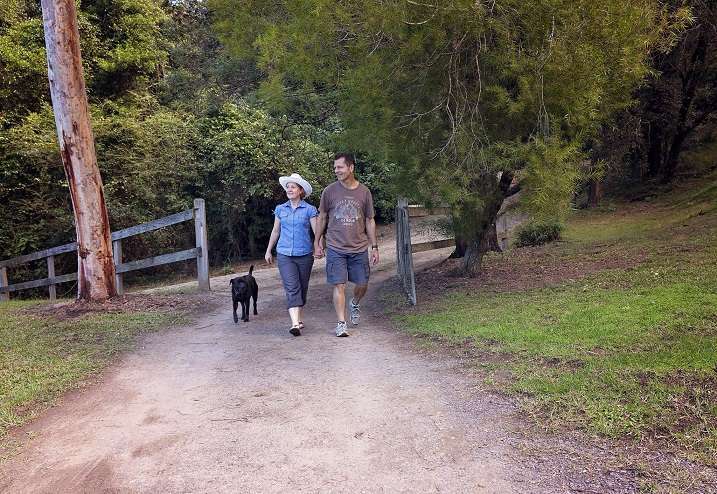 Hidden Valley Retreat Cottages is set on 40 acres of pristine land near Kurrajong, in the Hawkesbury area. We are tucked away in the foothills of the Blue Mountains, conveniently close to Sydney, yet once you arrive, you couldn’t feel more removed from the hustle and bustle of daily life. This is the perfect place for anyone looking to unwind in the peace and tranquillity of the rainforest, listening to the birds and the running water of the creek. 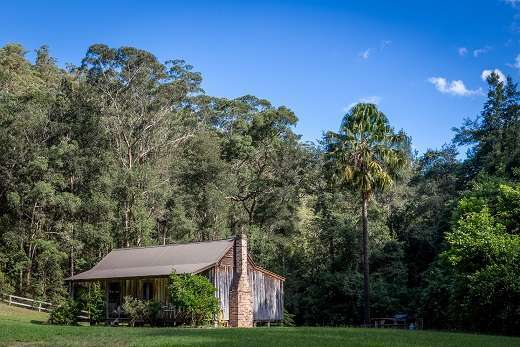 The property features five rustic self-contained cottages from traditional settler-style log cabins to a mud brick cottage. Imagine..... a little log cabin on the verge of the Grose Wilderness where you can really get away from it all, enjoy nature and relax. 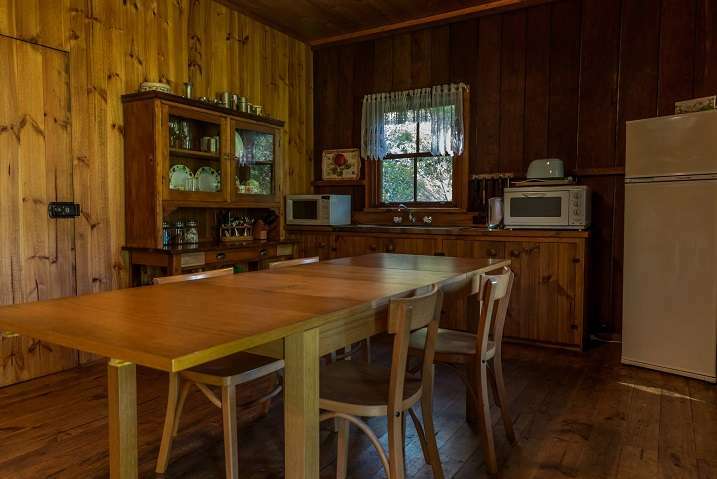 Each cottage is situated in its own clearing in the forest maintaining a sense of privacy and seclusion. Open fireplace, double spa bath, linen and towels, self-contained kitchenette with private gas BBQ outside. All the basic necessities you need to make your escape complete. Choose from one of our four log cabins, Cabbage Tree, Magnolia, Jacaranda and Willow Cottage or our Mud Brick Cottage - each with its unique personality. 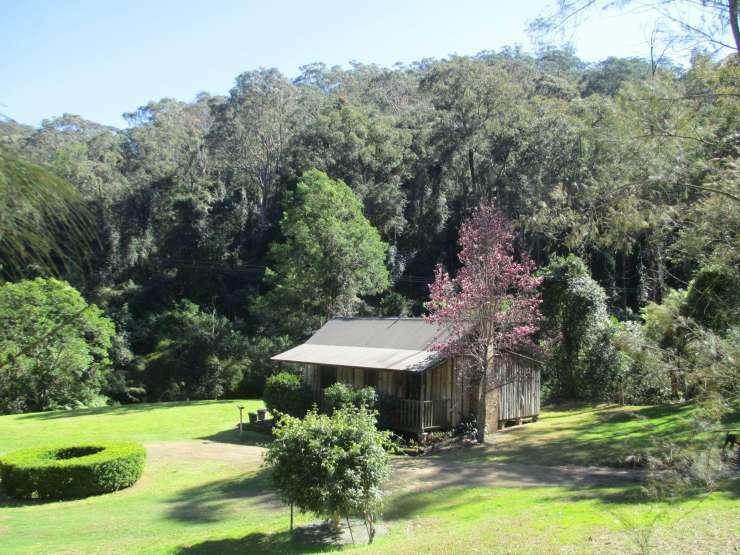 Enjoy the tennis court at the main homestead or the many activities of the Hawkesbury / Lower Blue Mountains or go no further than the couch on the veranda. Do as much or as little as you like. 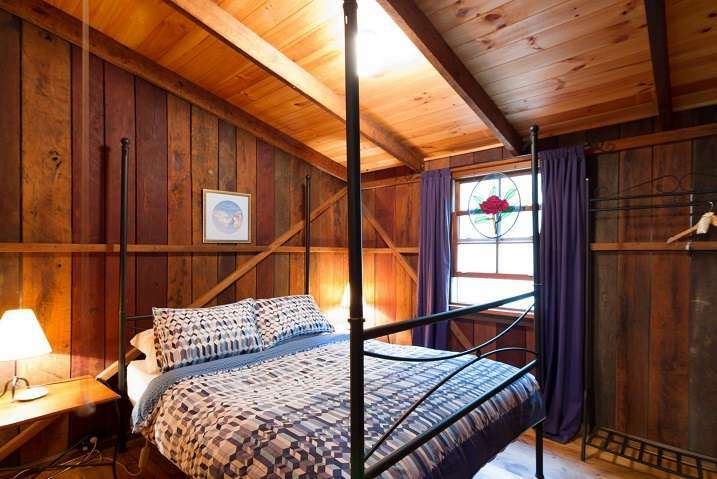 The log cabins have two bedrooms; each has a queen in one and two singles in the other. 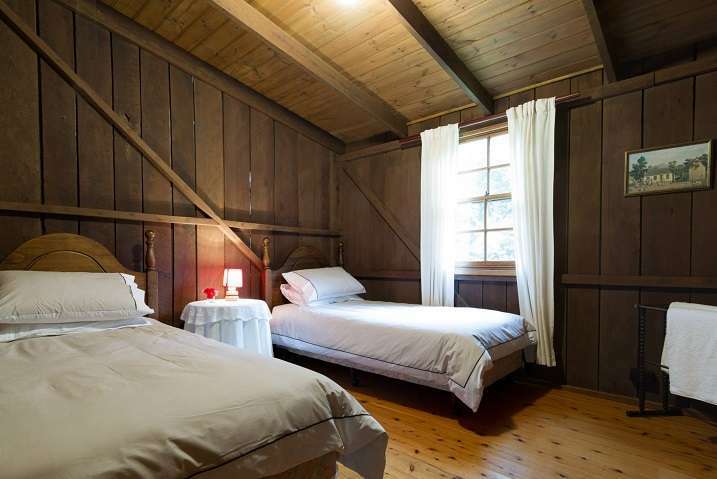 Linen and towels are provided and all the beds have electric blankets to keep you toasty warm in winter. 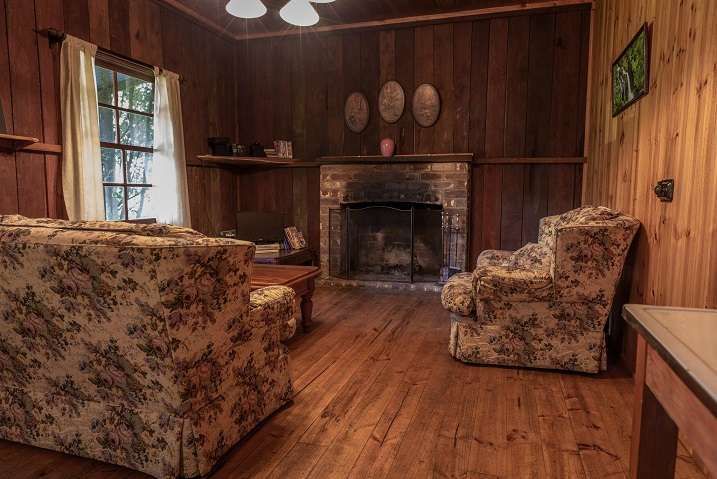 They have air-conditioning and heating as well as an open fire place. There’s a double spa-bath for relaxation and pampering. The kitchenettes have a fridge and basic cooking facilities (small microwave, toaster oven, 2 electric hotplates, kettle and toaster) and there’s your own gas bbq outside.......... 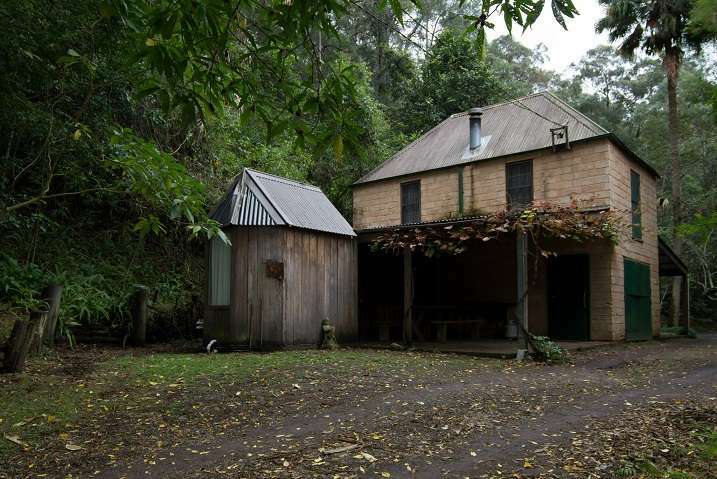 The mud brick cottage sleeps up to eight, although its indoor living space is more suitable for six or fewer. It has a queen and two singles in two bedrooms downstairs and a queen and two kid singles in a loft bedroom upstairs. Its living space is small, but it has two outdoor/under cover areas. The cottage is heated by a pot-belly stove and it is pretty cool in the warmer months due to the mud brick and its position in the trees. Again, linen and towels are supplied and the beds have electric blankets. There’s a double spa-bath in a garden conservatory. The kitchenette has a fridge and basic cooking facilities (small microwave, toaster oven, 2 electric hotplates, kettle and toaster) and there’s a gas bbq outside..........We welcome well-behaved children and pets.